The next ride will be SUNDAY 28th April 2019 Graham will lead a ride. Setting off from Soderberg (Peter’s Yard) we’ll head through the Meadows, Leamington, Russell Road, Roseburn/Blackhall corridors, Forthquarter, Cramond prom, Whitehouse Road, along the Burgess/Bruntsfield boundary, with the lunch stop at Ye Olde Inn, Davidson’s Mains (where else ;-). After gorging ourselves, we will head back on up NCN 1 to the start point. 15 easy miles – with no tree stumps to negotiate. We’ll meet at our usual starting point which is outside Söderberg The Meadows (formerly known as Peter’s Yard) on Middle Meadow Walk. There is a map lower down the page. Easycycle on SUNDAY 26th May 2019 .. Jim will lead a ride. Easycycle on SUNDAY 30th June 2019 .. Alan will lead a ride. Easycycle on SUNDAY 28th July 2019 .. Jim will lead a ride. 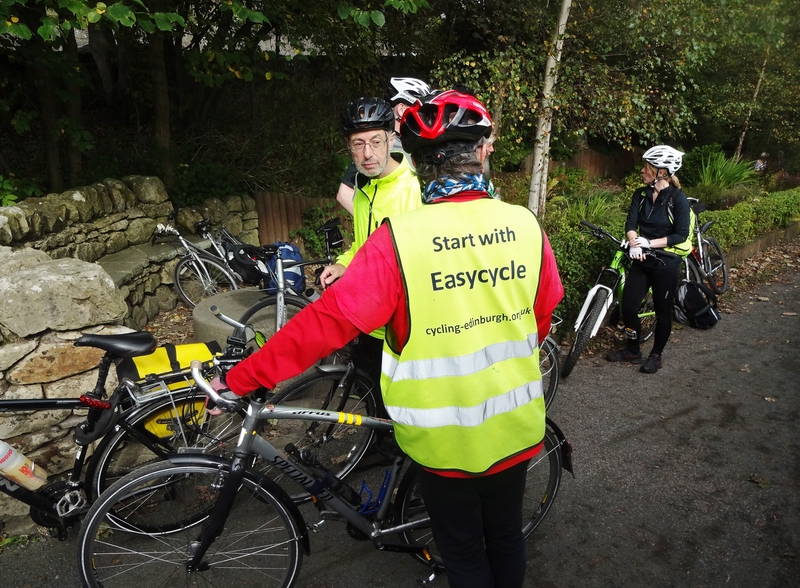 Easycycle on SUNDAY 25th August 2019 .. Jim will lead a ride. Easycycle on SUNDAY 29th Sep 2019 .. Alan will lead a ride. Easycycle on SUNDAY 27th Oct 2019 .. Jim will lead a ride. Summertime ends. Don’t be 1hr early. The Winter rides from December to February, are planned to end in town (e.g. the Doctors’ pub, which does good food) around 1pm. Once nourished, we can discuss what else we would like to do. If it’s nice weather, and we’re feeling fit, we can add a few more miles to the day..
Hi Jim – so sorry not to see there’s no Easycycle over the winter months this year. I’ve had many good cycles in the winter months, despite being a fair weather cyclist! Hi Hillary, I’ve replied by email, I’m happy to review this. Let’s see what we can get discussed.